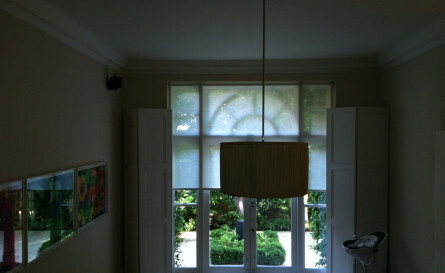 Roman blinds look very simple from the front, falling in a series of level folds to the sill. But behind the streamlined pleats, a clever system of rods, slipped into tape casings at the back of the blind, holds the folds straight. Crisply pleated into neat horizontal folds, Roman blinds have the pared down, functional look that’s perfect for a modern home and is economical on fabric too. Roman Blinds are easily raised and lowered by pulling or releasing cords; these cords run through pockets in the taped casings. 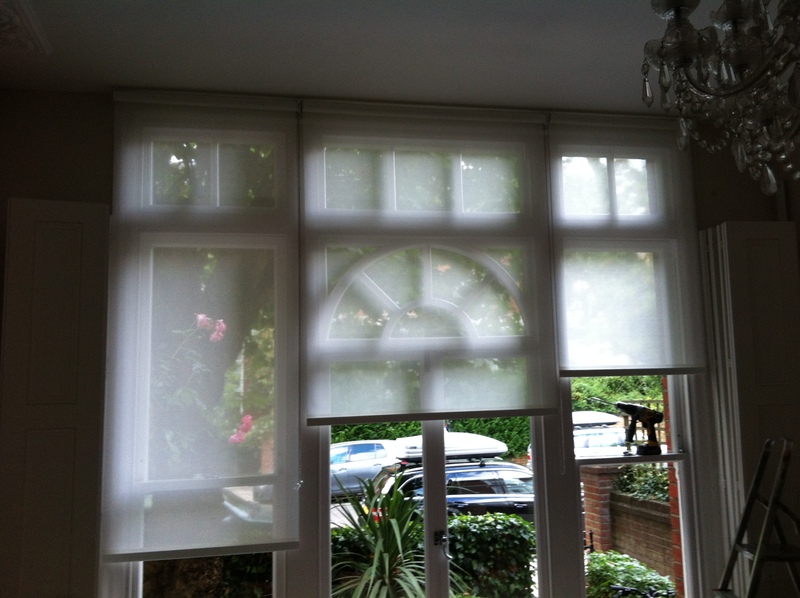 Roman blinds hang completely flat when lowered, so they use very little fabric. 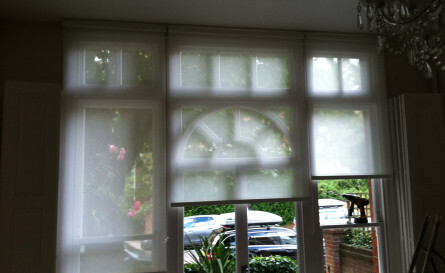 The right blind, correctly fitted, will make a big difference to the look of your room. 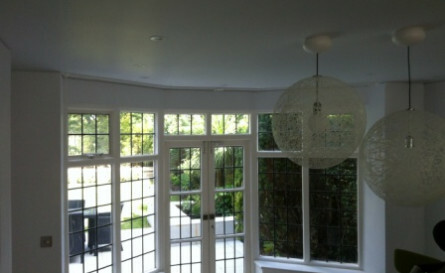 Contact me if you require a fitting service. 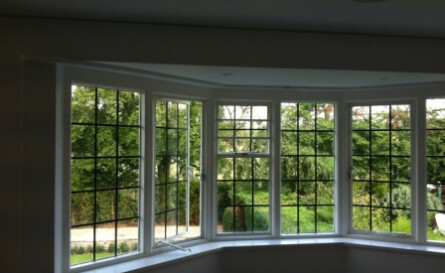 Fineline is a lightweight, aluminium track that bends easily by hand to fit into and out of most bay windows. 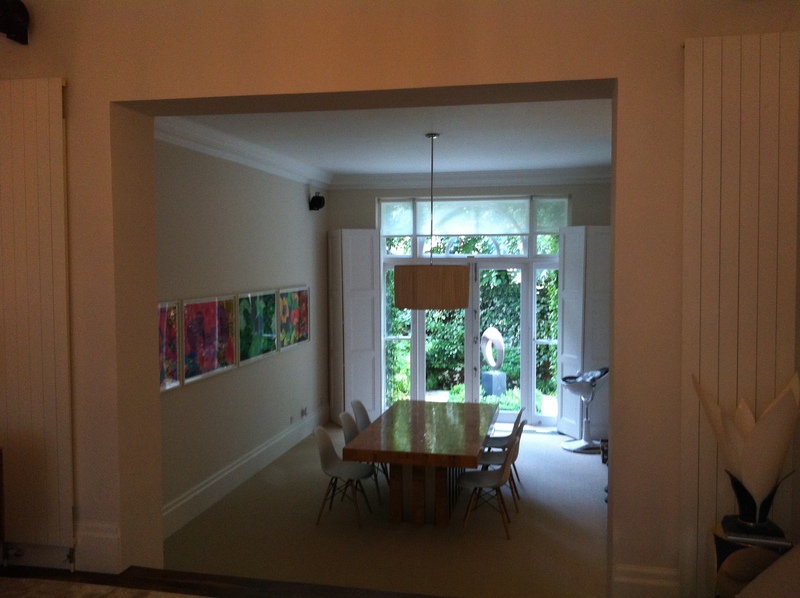 This highly versatile track can be mounted to the wall or ceiling as a single or double track option. Pencil pleat is the traditional standard heading for curtains. A 7.5 cm (3″) tape is used with three hook positions. Pencil pleat curtains work equally well on poles or tracks and by setting the heading tape down ensuring a good fit for any window area. The right curtain track, correctly fitted, will make a big difference to the hang of your curtains and the whole look of your room. Contact me to arrange a free measure and advice with no obligation. 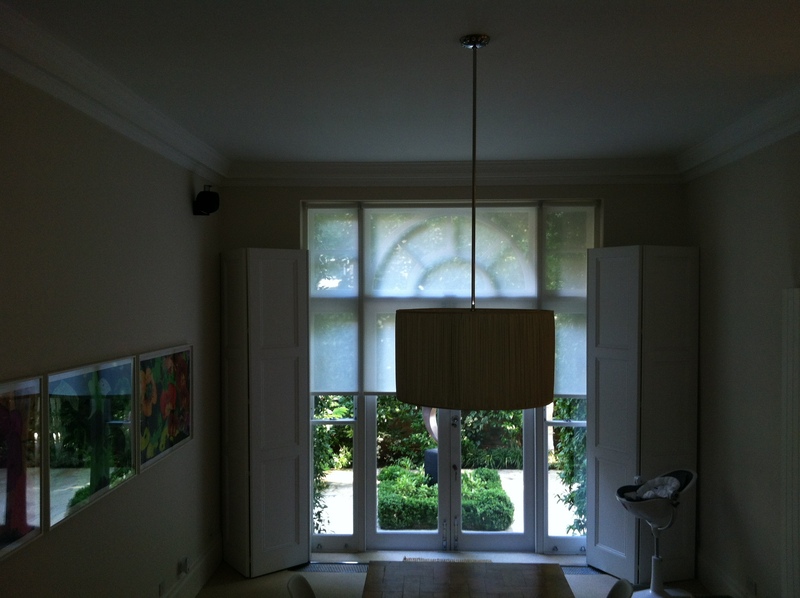 Two words to describe this white sheer roller blind. Stunning and practical. 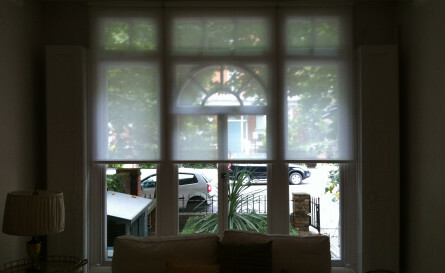 The simple look completely belies the amazing practical benefits of this blind. 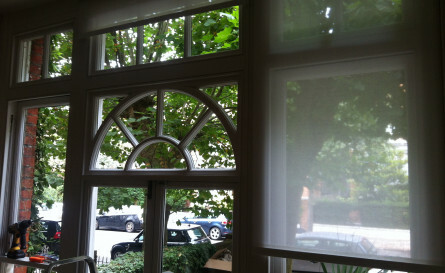 Working like magic at the window, the blind assure your daytime privacy, enabling you to enjoy the view out without anyone seeing in so is ideal for over-looked rooms. 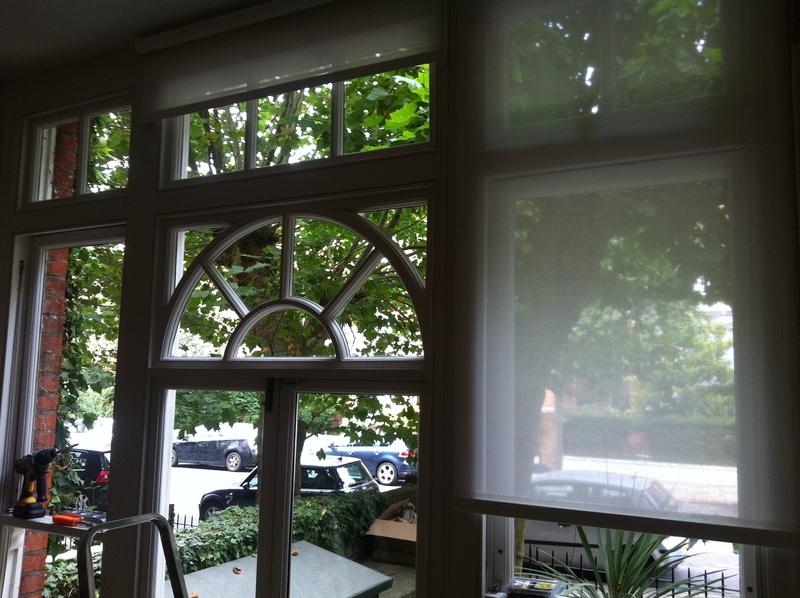 In addition the screen fabric will put a stop to almost all UV rays giving you glare-free view! A new roller blind is a brilliant and cost-effective way of making a dramatic impact on updating the décor of your room. Roller blinds come is such a wide variety of styles, fabrics and colours that you’ll easily find one that suits your style. 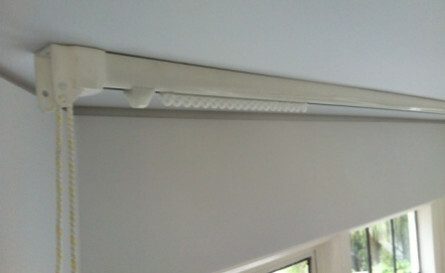 They’re also immensely practical in providing privacy and controlling glare, offering a sophisticated means of adjusting light levels. A specialist track for bespoke situations. This represents customers who rightly expect the very best in terms of quality, design and technology. Silent Gliss curtain tracks are world renowned for quality and reliability and are used extensively in commercial and domestic projects. 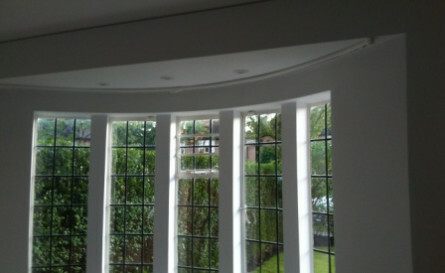 Silent Gliss curtain track are suitable for a straight or bay window and are made with high grade materials by a team of experienced assembly operators, and come with a 5-year warranty. 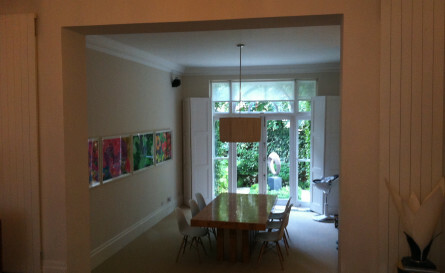 Key Features of the 3840 I measured and installed in London. Standard cord drop 150cm with a right-hand pull as standard. Intermediate option also available.